There are many places in Canada and the U.S. where the winter brings on very cold temperatures and storms. 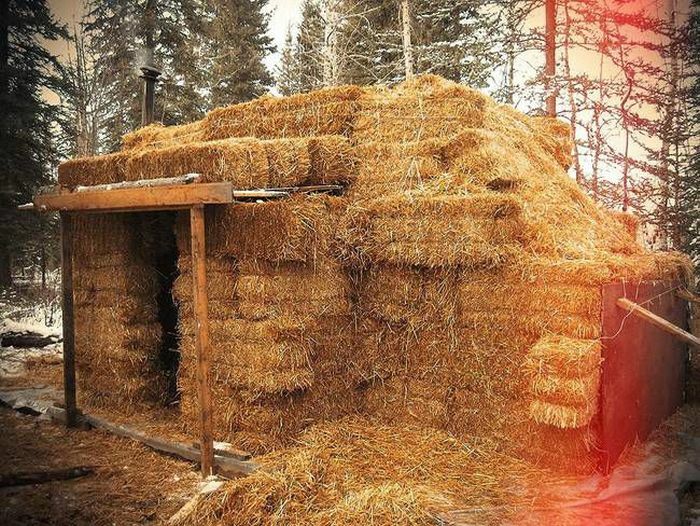 If we live in traditional housing we usually have a heatng system that keeps us warm and cozy. However if your housing is not traditional, such as living in a van, the winter can also bring on harsh circumstances. There will be questions that require anwering, such as, how are we going to stay warm inside the van, what are our options? The freedom of van dwelling does come with many perks, but it also comes with challenges, and the winter cold is one of the major challenges. 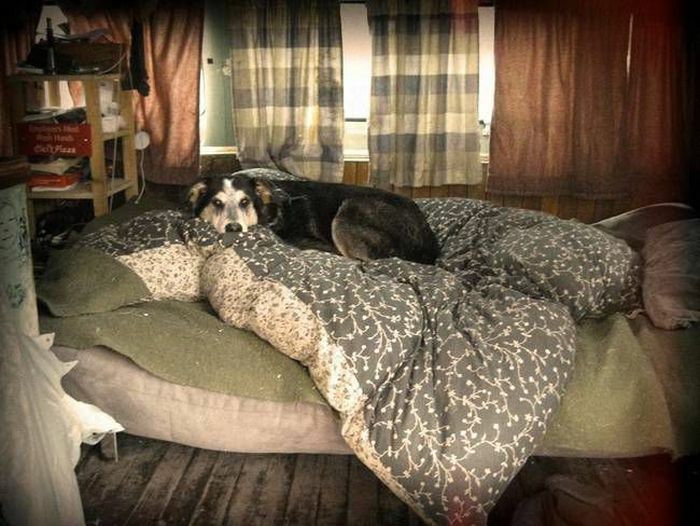 So how do you prepare for winter and keep warm in your home, if your home is a van. Van dwellers have become creative and have come up with many ways to solve this uncomfortable issue. Here are just a few ways you can stay warm in winters like Toronto, Canada and the far northeast and northwest of the U.S.
Insulating the van’s walls and floors is most important when it comes to preparing for winter and there are a few ways to get this done. 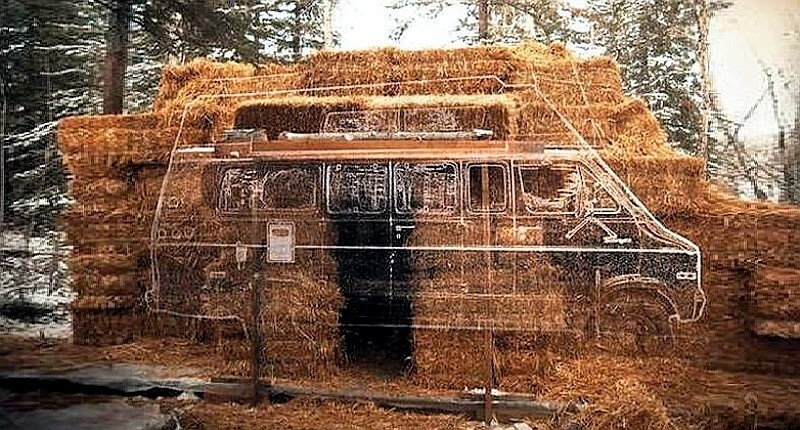 Van dwellers in Toronto, Canada have chosen materials such as hay and straw to cover the outside of the van and this has worked to keep the natural heat inside the van during cold icy winters. There are also foil pans that adhere to the vans windows that block out much of the cold weather by sticking to the windows and windshields with plastic sucker devices, very simple to install. Bubble wrap also works well cut into the size and shape of the van’s windows. These options also provide some more privacy, which is simply a plus for the van dwellers during the winter months. Another concern for van dwellers trying to get through the winter months is maintenance that keeps your van rolling. Before winter gets into full swing, you should get a tune up and make sure you’re not going to have any problems if you decide to travel. The van should have snow tires, and oftentimes, chains on the tires to get through really rough storms. Also you should have the right amount of anti-freeze mixed in with your water to make sure that the water in the engine area does not freeze up on you. Your oil should also be winter grade and any decent mechanic can help you winterize your engine and other parts underneath your hood that keeps you on the road. Keep yourself warm by preparing to have the right kind of winter clothing. Heavy jackets and coats are needed, but also items like thermal underwear and warm boots and shoes that keep the cold and water away from your feet. Warm nighttime clothing is a must, such as warm footies, slippers, and socks. This is where thermal underwear will also come in handy, during those frigid nights. Some van dwellers invest in sleeping bags and other sleeping items used for camping outdoors. Hot water bottles which tend to stay warm for up 8 hours are great for warming your bedding before you settle down for the night along with wool blankets for extra covering. Some Toronto area van dwellers have used these ideas and stayed comfortable in temperatures of -8 celcius, once it gets colder than that, van dwellers may have to spend a night or two at a hostel or hotel if it can be afforded. At these temperatures if your van does not have its own heating system and some do, it is safest to stay snuggled up until the temperatures mellow out. Also, even vans that came with a heating system must be running all night for the heat to stay on. If you do have a van that came with heating, the best thing to do is to run the van until bedtime, a couple hours beforehand to warm the area. Of course this also burns gas. So make sure, anyway, that your van stays filled with gas and isn’t on empty. Preparation is also key. At the end of the summer season begin preparing for the cold of winter, because Autumn can also be very cold in some areas of Canada and the U.S. So don’t wait until winter arrives to run around and prepare, do this beforehand and this way if the temperatures suddenly drop, you have a plan to keep you and your van as warm as possible. Visit some bloggers who are doing just this and check out their project: Living in a Van in Winter. 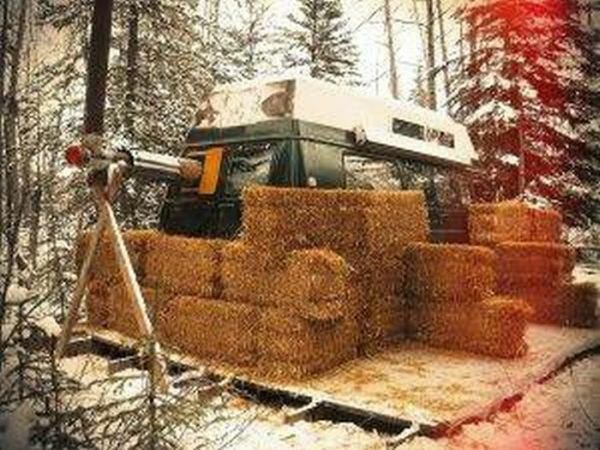 And for extreme conditions, like Alaska, you should check out Cud Eastbound‘s hay bale camper van insulation – that is a guy with determination, a good idea, and the will to put it into practice.